The PFF Top 101 has been unveiled for the 2016 NFL season, and as ever, there will be some players that had fine seasons who missed the list. The 101 recognizes the achievements and performance from just a small, elite fraction of the players that got on the field during the season’s 267 regular and playoff games, and simply being on the list is an extremely impressive achievement — however far up or down. That said, it’s important to note that players that didn’t make the list aren’t automatically bad players, or even players with poor PFF grades — they’re merely seen as less deserving than those that did make it. 1,996 players suited up and made it onto an NFL field this season, so everybody in the 101 list ranks in the top 5 percent of players in the league this year. It’s also worth a reminder that this 101 list focuses solely on the 2016 season that was, and is not an evaluation of a player’s talent or ability in a vacuum. Here we address 10 players that missed out this season who are seen as snubs, and give some explanation for their omission. 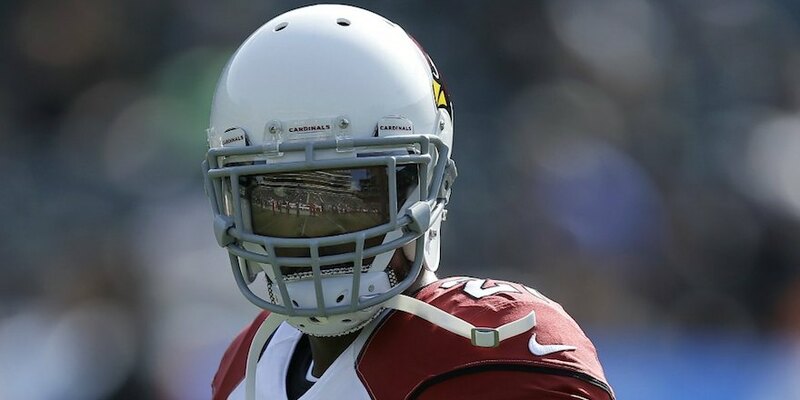 By far the biggest reaction to any absence on the list came regarding Cardinals CB Patrick Peterson. As evidenced by his rank of No. 19 a season ago, PFF has ranked Peterson extremely highly in the past (only Josh Norman and Peterson’s Arizona teammate, Tyrann Mathieu, who is more of a slot weapon, were ranked higher a season ago among cornerbacks). In 2016, however, he didn’t live up to that level of play. Peterson has one of the toughest roles of any corner in the game year in and year out. He tracks the opposition’s top threat, and unlike many corners, will follow them to the slot, and not just left to right. That level of responsibility, however, means that if Peterson isn’t 100 percent on his game, it will show up quickly. In 2015, Peterson allowed just 50.0 percent of passes thrown his way to be caught, and quarterbacks recorded a passer rating of only 65.5 when targeting him. This season, those numbers jumped to 60.6 percent and 80.7, respectively. He gave up three touchdown catches this season (Denver’s Aqib Talib gave up none) and allowed more than 500 receiving yards. None of these numbers are bad, but they were short of the top players at the cornerback position, and the difficulty of Peterson’s role doesn’t offset those negatives enough to get him on the list. Chiefs CB Marcus Peters had similar numbers in several categories, but intercepted twice as many passes and got his hands on eight more attempts than Peterson to break them up — and Peters made the list at No. 96. If you go to more advanced numbers, again you see a significant decline in Peterson’s performance from 2015 to 2016. A year ago, he was the toughest cornerback in the game to complete a pass on, allowing a catch once every 19.5 snaps in coverage. This season, that number is down to once every 14.0 snaps, and he was targeted more often. Peterson allowed 0.9 yards per coverage snap, which is 12th in the league, and up from the 0.58 he posted a season ago, which was the best mark in the NFL. Every statistical category you want to look at tells the same story as the tape: Peterson in 2016 slipped from being arguably the best corner in the game, and was more like a top-10 player at the position. That ranking is still certainly commendable, but wasn’t quite enough to get him on a top 101 list that focuses solely on the season that was. LeSean McCoy ended the season with 1,267 rushing yards and 13 touchdowns on the ground, while also adding 356 receiving yards and another touchdown. He had without a doubt an excellent season, but fell short of the 101 list by a narrow margin. The single biggest thing that kept McCoy out was his performance as a blocker. This may seem like an insignificant thing for a running back, but in today’s league, backs need to be able to pass block, or their quarterbacks are in trouble. That’s why rookie runners often don’t see the field in passing situations, and it’s why complete backs are still such a valuable commodity — they can be trusted to keep their QBs upright. McCoy was kept in to block 92 times this season, and earned a pass-blocking grade of 37.1 — the worst mark of any running back in the NFL. On those 92 snaps, he allowed 13 total QB pressures. McCoy was certainly in the conversation in the latter stages of the list, and would be among the next few names to go on it, but was ultimately kept off by his blocking performance. Few players recorded better coverage numbers than Xavier Rhodes in 2016, but sometimes those numbers don’t tell the whole story, and can be manipulated by other factors. Rhodes ended the season giving up a passer rating of 47.0 when targeted, which was the best mark in the league, beating out Denver CB Aqib Talib for the No. 1 spot. His completion rate allowed was 48.0 — second in the league, or first if you look at only players with 50-plus targets — but Rhodes hid a lot of negative plays in penalties over the season, which won’t show up in those coverage stats. He was flagged 11 times over the season, which is more than all but two other corners. Seven of those 11 penalties were coverage penalties that moved the chains and don’t show up in his coverage numbers, while the other four were all illegal hands to the face, which is a needless and careless penalty. He allowed two touchdowns over the season, including a game-losing disaster of a play against Detroit, and while his best play was excellent, there was just a little too much inconsistency and hidden negatives in Rhodes’ season to make the list. Jerrell Freeman’s exclusion is a simple one, because on the field alone, he would easily have made it, and likely been a top-50 player. He missed four games of the season, which is an issue in isolation, but the cause of that missed time is what excluded him from the list. Freeman was suspended four games for violating the NFL’s policy on PEDs, and there is simply no way of telling what impact that had upon his performance, so we excluded him from the list on that basis. Missed playing time kept Earl Thomas off the list, with injury costing him the final portion of the season, last seeing the field in Week 13. He finished the season with just 693 snaps, and his performance during the rest of the year hadn’t been so stellar as to ignore that missed time over other worthy candidates. Ironically though, the time he did miss showed just how important and valuable he is to that Seattle defense, which was noticeably worse without him in the lineup, even though his replacement, Steven Terrell, didn’t play badly. 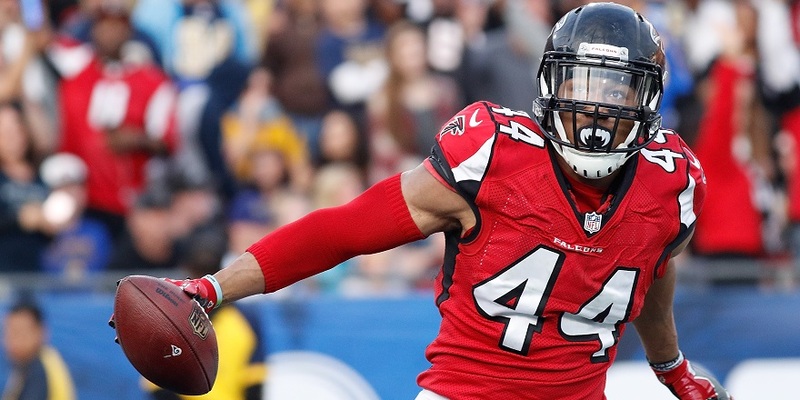 Vic Beasley led the league in sacks in a breakout year for the second-year pass-rusher, but that sack figure is a little misleading. While he led the league in sacks, he totaled 56 pressures over the year, which was just 18th among edge rushers. He converted pressure into sacks at an unsustainable rate of 28.6 percent, compared to the league average of 15.1 percent for edge rushers. That could mean that he was just unusually good at finishing plays this season, but when you look at how those sacks came, they were often as a result of clean-up plays or scenarios where Beasley was unblocked. The vast majority of his pressure came against very bad offensive tackles, and while there is value in beating up on bad players, when he went up against better opposition, he was stonewalled. Nowhere was that more evident than in the Super Bowl, where Beasley rushed the passer 54 times and came away with just two total pressures; he was virtually eliminated from the game by Patriots RT Marcus Cannon. When you add in the fact that Beasley didn’t have a similar leap in performance as a run defender, he just wasn’t as good this season as his sack number suggests. Maybe he makes the list in a year’s time if he continues to develop at the same rate. Anthony Barr was emblematic of a Vikings’ defense that faded this season after a historically great start, and though he made the Pro Bowl, the tape suggests he shouldn’t have even been in the reckoning after a fantastic 2015 campaign that saw him rank 20th on this list a season ago. Barr finished the 2015 season with a PFF overall grade of 91.7 and was well on his way to being one of the league’s best linebackers. In 2016, his grade plummeted to 43.1, 79th in the league among linebackers. Barr’s biggest drop came in coverage. Last season, he was excellent at closing quickly and making stops in the passing game, limiting the damage receivers can do. He allowed only one touchdown all season and 9.5 yards per reception. This year, he was beaten four times for scores, for an average of 11.8 yards per reception, and when targeted, the passer rating he surrendered jumped up 40 points, to 135.0. While Anthony Barr is a player that was never really in contention, C.J. Mosley was far closer to making the list, and would have been one of the next players to go on if the list was extended. Mosley was excellent against the run this season, taking on blocks and disrupting the running lanes regularly, often being the reason that teammate Zachary Orr made the tackle on the play. Mosley’s grades were good across the board, with the exception of seven penalties over the season — second-most among all linebackers. A dozen missed tackles didn’t help his cause, and overall, he was just edged out by players that were considered more deserving. Given his youth, he would be an obvious candidate to make the list in a year’s time. One thing about the Top 101 list taking an approach that all positions are created equal is that there are going to be fewer quarterbacks on the list than people are used to seeing. QB is the most important position in the league, but if we remove that “value” aspect from things, a solid QB performance over the season won’t guarantee you a spot on the list over other players. Cousins backed up his 2015 season with another strong performance in 2016, but may not have been quite as good as his raw production indicates. He threw a dozen interceptions over the season, which is only two fewer than Carson Palmer and Cam Newton, who had mistake-prone seasons. Palmer also threw one more touchdown pass than Cousins did, and while Cousins threw for a lot of yards, there was a lot of work after the catch by his receivers to generate them. 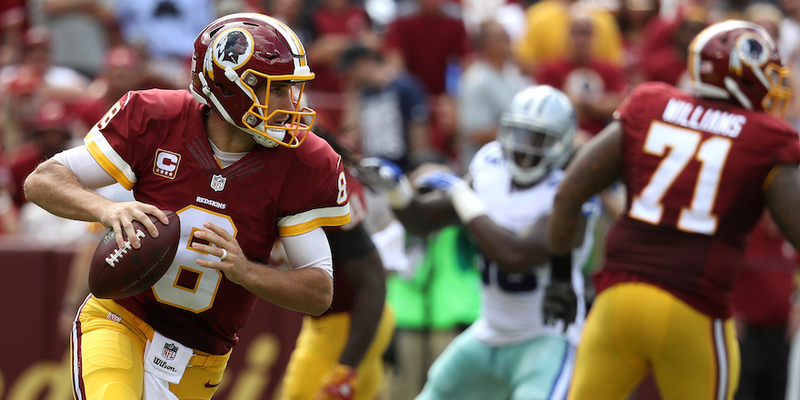 Cousins was third in passing yards this season (4,917), but eighth in percentage of yardage that came in the air rather, than after the catch. In the end, he had an excellent season, but play-by-play grading put him just on the outside of the list looking in. Dont’a Hightower was another player to slip off the list despite having a fine season. The loss of Jamie Collins to the Cleveland Browns in a trade during the season likely was a part of his drop in form, because his grade over the first half of the year is significantly higher than that over the second half. He missed double the number of tackles this season (10) than he did a season ago, and in coverage, was beaten for almost twice the yardage (302), more than double the number of catches (40) and a higher passer rating (98.5) than a season ago. The Super Bowl gave him a chance to force his way onto the tail end of the list, and while he had a solid enough game, it wasn’t quite enough to displace the final few players.